As I sit here in my sweet spot listening to yet another new pair of speakers, I am floored at what I am hearing from them. 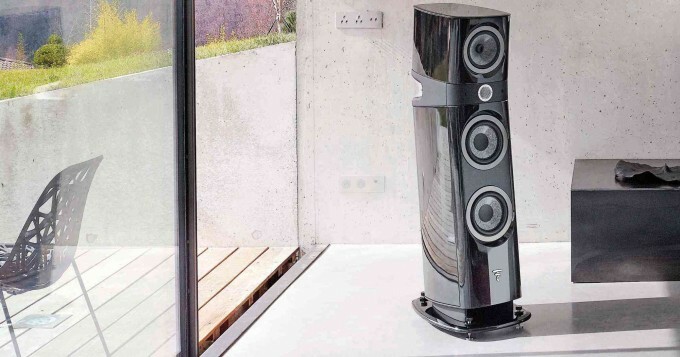 Yes, these are the new Sopra #2 speakers from FOCAL. These retail, new, for around $13,999 USA which is a ton of cash, but not up there with previous speakers I have reviewed. 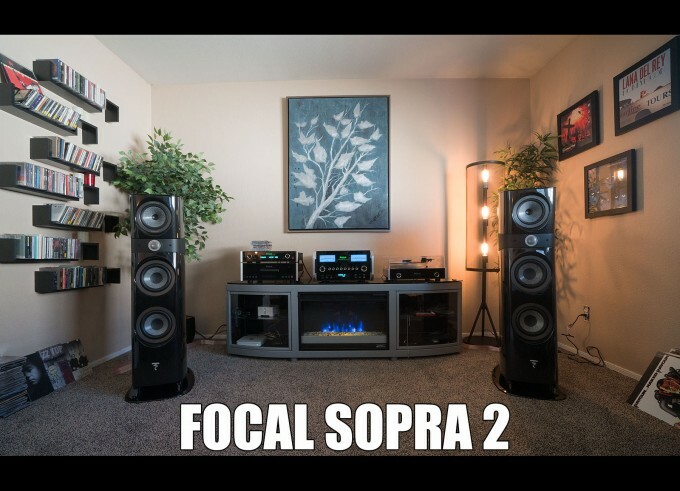 Speakers like the Sonus Faber Guarneri Evolution ($22k) or Amati Futura ($36k) are much more expensive but these Focal Sopra 2’s are impressing me even more than those speakers did in the same room and environment. Really, and not in a subtle way. NEVER in life have I heard speakers anywhere near this price range with such life, holographic sound and a transparency that is downright eery and spooky while reataining “weight” to the music. WHY were these not available 2 years ago? Could have saved me some big money (as I would not have bought and sold so much)! How could a $13k speaker sound bigger, clearer, and have the most amazing treble performance I have ever heard from ANY speaker let alone when compared to a $22k and $36k speaker? Easy. 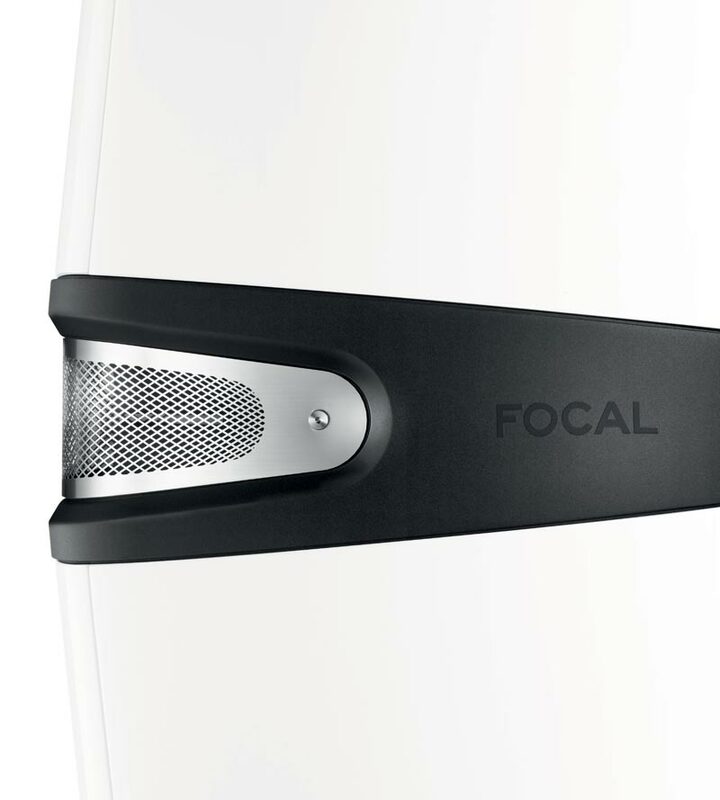 Focal must have decided to really show what they can do, and do it for much less than competitors. After a while with these Sopra #2’s I can say that Focal underpriced these by about $17k. Yep, I would put these in a class of $30,000-$36,000 loudspeakers. They are beautiful, well made at over 100lbs each speaker and semi compact, meaning, they are not so huge that they do not fit in my very small listening space. The sound? MAGIC and AMAZING no matter what I play through them. I mean, NO MATTER what. 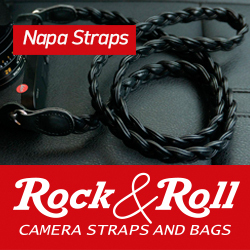 These handle all kinds of music with ease, and they are an easy load at 91db and 8 ohm. Even low volume listening is rich, full and so nice. Never heard low volume listening so so pleasing and magical. Ever. When I had the Sonus Faber Amati Futura in here it took a while before I was convinced of them, and then ultimately realized that they were just too much for my small room. With some songs, the bass could be bloated and the overall sound signature, in my small room, with the Amati Futrura was WARM, THICK and ROMANTIC, almost too much and I noticed it more and more after I lived with them for a while. With the Guarneri, it was Magic and I have regretted letting those speakers go as I never had such a beautiful sound in my room. Well, until now that is. The Sopra 2 is special in many ways. It’s as if this was all a learning experience to get to these Sopra #2’s. They beat out the Sonus Faber’s I have had, the Wilson Benesche Vectors I owned are not even close and the other speakers I messed with in this room, while good, are not even near the level of the Sopra 2. These obliterate my Dynaudio C1 Platinum that I had here before these. In comparison, the C1’s sounded dull, lifeless and “good” but not “magical”. 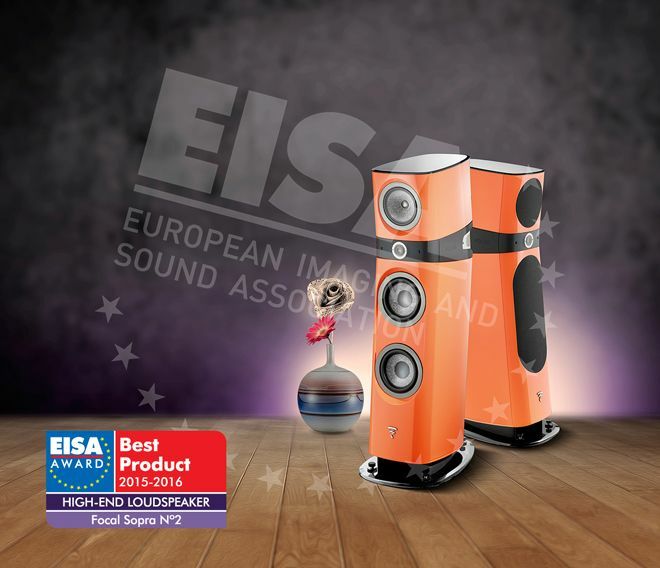 The Sopras make the C1’s sound average, and that is not easy to do as the C1’s are truly magnificent speakers! Without a comparison to the Sopra, the Dynaudios are one of the best..but when side by side..its a pretty huge difference and the Sopras win handily no matter what we are talking about..treble, midrange or bass. My electronics consist of a McIntosh MA8000 (BEAUTIFUL), McIntosh D150 DAC, MCT 450 Transport and the MT-5 Turntable. I have to say that this combo of gear with these speakers is PERFECT. The sound is indescribable as it is on another level from anything I have had here. All new heights in my room, and what a height it is. YES! The new Sopra line from French speaker maker Focal is here and when I saw them online it was love at 1st sight. I loved the design and even the “Electric Orange” color but knew for me, my room and my tastes that black would be the ticket. I had some Dynaudio C1 Platinum here for 2 months or so and just could not get to love them (as I explained above). They sounded “good” but not “magical” and for the $8000 price tag, they should have some magic. I guess I could say they are “sterile” but never “bright”. I would say more rolled off than anything. Since I bought these Dynaudio’s from my dealer, he allowed me to trade them up while giving me what I paid for them in full, towards the new Sopra #2 in black. Just so happened he had a new demo pair he was burning in with only 75 hours on them, so I told him “Ill take them”, especially after I was told of the 3-6 month wait for a new pair. Without even hearing them, I drove an hour to do the swap and when I arrived they were all packaged up and ready to roll. The boxes are HUGE for each speaker but we managed to just fit them fit in my small SUV (Kia Soul) so away I went. I was starting to get nervous as I thought “what if they sound bad, or I do not like the sound signature”?? I knew Focal had a rep for being on the bright side of neutral..so I was sweating it a little. I hate bright analytical sounding speakers! So I was hoping and praying I made the right move. In any case, when I arrived home I had a friend help me unload and set them up. 1st things 1st… they LOOKED AMAZING in my room. Best looking set yet as they just “fit” in my space size and looks wise. Perfecto! After hooking them up to my McIntosh MA8000 300WPC beast integrated, away I went to start playing familiar songs that I thought sounded fantastic on my previous speakers. I was not prepared for the sound..but it was just “THERE”… So intimate, so delicate, so real..in fact, I never heard anything like it, ever. The vocals were flat out magical and so “in my room” it was a little goosebump inducing and in the dark, a tad creepy as it sounds like the artist is RIGHT THERE..you hear every nuance in the voice, but at the same time, the speakers are NEVER EVER BRIGHT, HARSH or FLAT. The midrange that I thought was so amazing on my Sonus Fabers? Forget it, these beat out the Sonus in the treble and mids AND even Bass. The bass was there but was tight and NEVER EVER booming. Something most ported speakers have problems with in my small room. The bass is there in full force but never ever gets in the way of the treble or midrange. It’s like each driver works together so well, it makes the speakers sound as if they are one. Never have I had any speaker with better bass performance in this room either, so these were starting off blowing my mind right out of the box. The dealer guessed that they put around 75 hours on them, and they explained to me it could be 300 hours to run these in fully (and yes, burn in is real, I experience it with components all the time and even tested the theory with success) but I LOVE the way they sound now I hope they do not change further. At this time, there is around 150 hours on them as I put on 75 since purchase. I remember hearing some $50,000 Magicos a while ago and I thought “much too analytical” and “too bright and mids are not so good..sterile”. Did not sound like music, it sounded like someone was dissecting the music, which in turn made it cool to listen to for a minute but not engaging at all. I found that I am not a magico sound type of guy. I was nervous about buying a pair of Focal’s as I remembered that their signature has always been more about clarity, treble and more “hifi”. I heard a pair of them maybe 12 years ago and hated them (not sure what model) as they sounded thin, bright and all about detail. The Sopras change this for Focal as the signature now sounds rich, clean, transparent as you can get but still with massive (but not overdone at all) body to the music. NO matter what music I put through these speakers it sounded so so good, with full body and clarity and a nice soundstage width and imaging was also up there with some of the best if not these best. These easily beat the Sonus Faber Amati that I owned, in this room, and they also edge out my all time fave, the Guarneri Evolution. The Guarneri, for me and my room, was about as good as it ever got as it had a fullness and magical midrange to die for. It filled my room as if it were a large floorstander and they disappeared with ease but at times, with some music they went dull and had too much warmth, and other times the bass lacked a bit for certain songs…but usually, 95% of the time, they were pure magic. With the Sopra #2, I am hearing TONS more transparency, more dynamics, a harder hitting but cleaner/tighter bass and no hint of mushiness, slowness or muffled sounds. It’s punchy and dynamic but never ever offensive. Its clean and clear without any distortion, even when pushed hard to ear-splitting levels. There is a realism here that I have never heard in a speaker of this price point and with that realism comes MUSIC..yes, these play music that is so beautiful to the ear. Usually when you have realism you do not get much musicality…Focal achieved it here and its wonderful..and the soundstage is perfect – large and wide and deep but not over exaggerated in the slightest. While close (and both have a gorgeous sound) the Sopra #2 edged out the Guarneri for me, and they come in at $9,000 LESS than the Guarneri while offering more/better bass, midrange and treble and offer more realism. They look just as nicely made as well. The Sopra speakers are so so so transparent, probably the most see through sound I have ever witnessed in my home. They have a way with vocals that put the artist right in front of you with an eerily spooky realism that almost tricks your brain into thinking the artist is there with you. Piano on the Sopra is as good as I have heard it in my room and beats the Sonus Faber’s handily here. Acoustic music, Sopra wins every time. Music like techno or dubstep is SLIGHTLY better served on the Guarneri’s as they have more mid-bass weight to the mids but it also sounds fantastic on the Sopra, in fact, its amazing. Ambient music on the Sopras will take you to another world at Times. Try listening to “The Dream of the Unicorns” by Narsilion from the “Arcadia” album. Never has my room been transformed into another world like this. As I close my eyes, dim the light and sink into my chair I feel as if I am ridding a unicorn through some mystical world as I listen to the vocals floating in the air around me. It’s one of the most amazing experiences I have had in my HiFi life, and right here in my own room and chair. The more I dig in to these speakers the more I realize that these are so much better than any speaker I have ever owned, even the Guarneri Evolution. They do things the Guarneri could never ever do, and while the G’s are gorgeous and just as amazing as the Sopra #2 in their own way, the Sopra has way more going for it that betters the G’s that these are probably the best speaker buy of the year, or decade, for audiophiles. The Sonus Faber line is the king of good looks but I love the industrial design of the Sopras even more as they are unique and look so authoritative in my space. Build quality is fantastic and while not at the Amati or Guarneri levels with materials used, they look just as well made and at over 100lbs each, they are made to last a lifetime. No issues, build is superb. The treble with the Sopras is the best I have heard in my life. Clear and extended but NEVER EVER harsh, never. Not even slightly. Not sure how they pulled it off but its perfect and is responsible for the amazing clarity and transparent sound. Focal really made the tweeter for these special. I mean, with my McIntosh MA8000 and D150 DAC it is astounding. Whatever Focal did here with the Midrange driver is special. It works in tandem with the tweeter to offer the most cleanest midrange I have ever heard, yet again, never analytical or hard sounding at all. This is not an easy feat, and Focal did it with this midrange driver. I mean, the transparency is like nothing Ive heard yet there is weight to the music and voices. Like some kind of all new technology at play or something…things I never thought were possible (as I never experienced it). Tight, controlled, massive yet NEVER EVER boomy, even in my small room. When bass is called upon, these will deliver and while it may shake your room a bit with some music and high volume, it is never boomy or loose. Again, never in my small room have I experienced this kind of bass control or performance. It has a fullness to the sound that never sounds warm or obscuring the music. A perfect balance. When I 1st put these in my room, I was not impressed with the soundstage or imaging. I was not getting it and was really lacking compared to my Sonus Faber’s of the past. After spending about 2 hours measuring and positioning them correctly – BAM – they snapped right into place and there it was. A nice wide and deep soundstage that fills my room with amazing music. Top notch. Again, once these were in place the imaging locked in and was mighty impressive. Up there with the best I have heard. Every instrument, breath or nuance can be heard in its rightful place on the “stage”. With a clarity and openness like I have never ever heard. 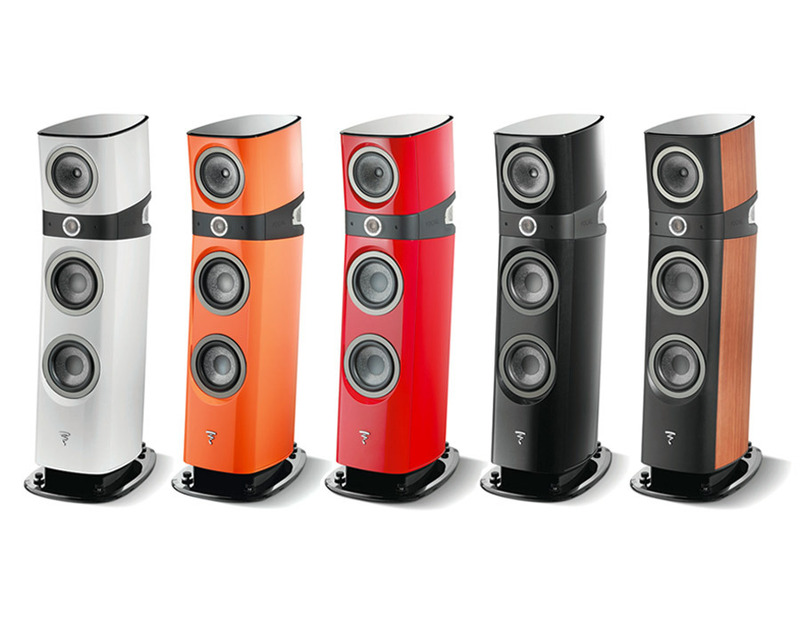 In fact, after a few days I concluded that Focal should have priced these between $30-$35,000 instead of $13,000. They are THAT good. I have heard other Focal speakers..the Aria line, the Diablo Utopia, the older Utopia line..and while some were impressive (larger Arias and Diablo) I never was “wow, I must have that speaker”. It seems Focal made some changes to their signature sound with the Sopra series, for the better. The sound is just so so right and coherent. I can not stress enough that ALL music you play through them sounds amazing. Even songs you thought were thin, harsh, badly recorded, etc…through the Sopra #2, nothing is ever thin and harsh, yet there is never any bloat or overly warm goo that plagued the Amati Futura in my room at times. Not sure what it is, but these speakers in my space give me a feeling of “it can not ever get better than this in this room” and maybe part of this is the amazing synergy between my McIntosh MA8000 Integrated and D150 Dac with the speakers. This combo is superb together. Trust me. These are simply amazing, and I would make these my “speaker of the year” in a nano second. I think Focal will be having a hard time filling these orders because all reviews so far on these are glowing..and for good reason. If you can demo these, run to do so. Make sure they are set up right and have good electronics behind them (NO AV Receivers please, they will sound thin and bright if you do this) with some current. For those wondering, I use Nordost cabling from power cords to interconnects to speaker cable and right now have Heimdall II in place. These are a HOME RUN for Focal and there is a reason there is a 3-6 moth wait for these right now. I bought mine in Scottsdale AZ at Dedicated Audio. 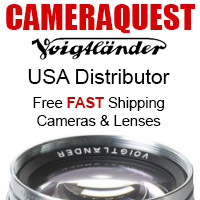 Dan is a great guy and will work with you for whatever your audio needs may be. Bravo Focal! 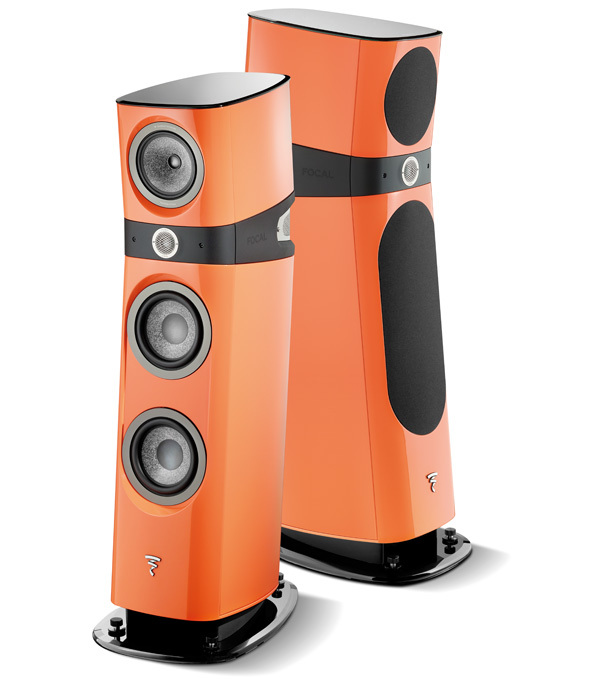 To see more about these visit Focal’s web site HERE.